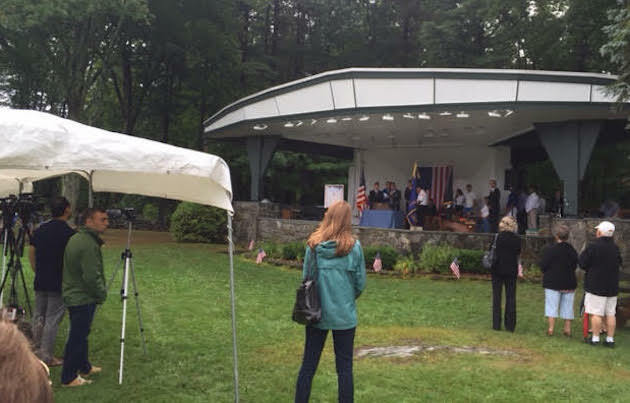 The New Hampshire Democratic Party sent a tracker to monitor Republican presidential candidate Jeb Bush as he participated in a local town's September 11th Observance ceremony on Friday. Trackers are regularly deployed by both parties to make sure that everything a candidate says during campaign events is caught on camera, but the memorial was far from a campaign event. 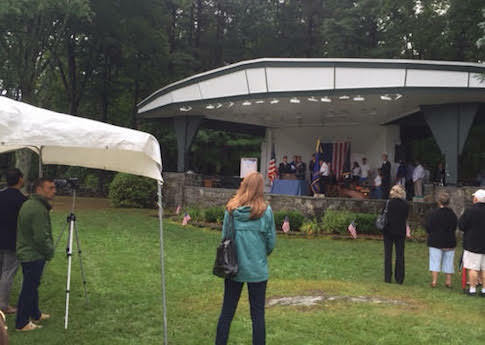 The Londonderry, N.H. event began at 8:46 a.m. with a moment of silence, just as the first plane hit the World Trade Center on September 11, 2001. Following brief remarks in which Bush said he was proud of how America responded to the attack, Bush took turns with members of the local American Legion post and school children reading names of some of the 2,977 victims. The podium was placed between wreckage from both the World Trade Center and the Pentagon. Despite the fact that Bush was simply reading names, Joel Kasnetz, who gave his name to event staff and identified himself as a member of the Democratic National Committee, was filming him as he spoke. Kasnetz joined the New Hampshire Democratic Party as a press assistant in July, according to his LinkedIn profile. The party office confirmed to the Free Beacon that this is his current position. Based on video captured of the event by local media, there will likely not be much dirt for the Democratic tracker to seize on as Bush was only reading names. 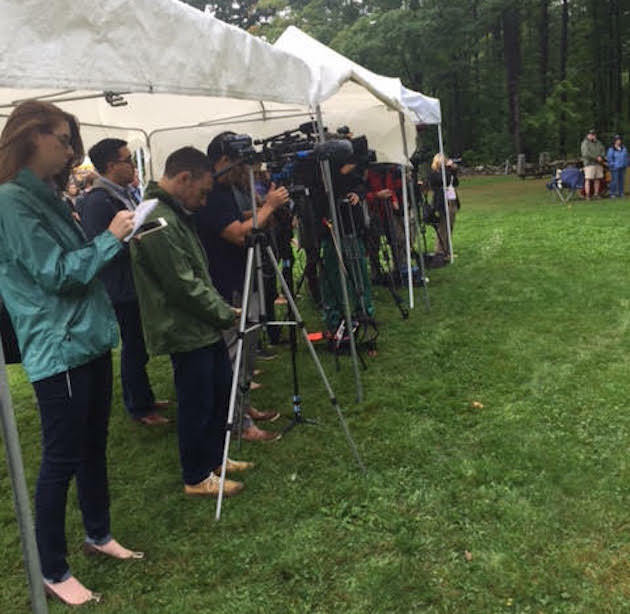 He used a trip-pod and joined the media under a tent, to make sure that he caught each name Bush read. "Today is a day to remember the victims of September 11th, 2001, and to honor the heroes who rushed to the scene of the attacks to save countless lives," said New Hampshire Republican chairman Jennifer Horn in a statement. "It is unfortunate that New Hampshire Democrats lack the judgement and integrity required to put politics aside on this solemn day and pull back their trackers. The New Hampshire Democrat Party owes Governor Bush and the organizers of the Londonderry September 11th Remembrance ceremony an apology for their classless behavior." Kaznets was not in the New Hampshire Democratic Party office when the Free Beacon called to confirm his attendance at the event. He has also not responded to an e-mail request for comment. The New Hampshire Democratic Party also did not respond to a request for comment.